#5 ATLEE (7-1) at #1 HIGHLAND SPRINGS (8-0): Listen LIVE beginning at 6:30pm tonight on 102.9 FM, WHAN Radio and online by CLICKING HERE! Simply put, this is the biggest regular season game in the Central Region thus far this season. The Springers are unbeaten, coming off an impressive 18-6 win at Henrico, proving they can win low-scoring, defensive struggles as well as shootouts. The Atlee defense will be hard pressed to stop all the available weapons, from Michigan State commit wide receiver Felton Davis, Old Dominion commit Marcus Taylor and K.C. Hinton, to D.J. Anderson, K'Von Wallace, Tank Scott and more. Javon Carter has progressed at quarterback as a sophomore. It will be up to the Atlee defensive line to put as much pressure on him as possible, disrupting the rhythm of the Springer offense. For Atlee, they rang up 56 unanswered points to put away Armstrong last week. With their own set of weapons, including quarterback Rashard Harris and tailback Loumond Dandridge, the Raiders can score from anywhere at anytime. Highland Springs hasn't seen an offense this prolific yet this season. They allowed 30 points to Armstrong three weeks ago, but nothing over 19 points otherwise. That likely changes tonight. As much offense that will be on this field tonight, the game will likely come down to whichever defense plays the most consistently. Last year, Atlee won at home 49-42. Can the Springers return the favor? #10 HANOVER (5-3) at VARINA (4-4), 7pm: The Hawks remain stuck as the precarious #8 seed in 4A South. After winning two straight post-return of sophomore quarterback Clayton Cheatham from a hand injury, Hanover is on a roll, scoring 95 points in those victories. Varina, though, has also righted their ship, and are in a dogfight for the eighth and final playoff berth in the 6A South Sub-Region with James River and Riverbend. The winner tonight takes a huge step forward in either securing home-field in the first round of the playoffs (Hanover) or in simply making the postseason (Varina). Hanover's last win over Varina? 49-28, in 2010. DEEP RUN (0-8) at PATRICK HENRY (4-4), 7pm: Finally, a senior class has more to play for than just pride on Senior Night in Ashland as the Patriots can all but clinch a 5A North playoff berth, their first postseason berth in seven years, with a win in the annual "Camo Bowl" against a Wildcats team that has hit rock bottom under second-year coach David Davis, falling at home to Thomas Jefferson last week 20-17. Hunter Hart has performed admirably as a freshman quarterback, giving first-year head coach Bryan Davis a foundation for building a program. Look for Bender Vaught to have a big night running the football, doing it with purpose as PH looks to win five games in a season for the first time in four years, helping ensure they play an eleventh game this season. LEE-DAVIS (2-6) at ARMSTRONG (5-3), 6:30pm: The Confederates play for pride the final two weeks, as their playoff hopes were ended with the home loss to Hanover last Friday. This is the first time since 2008 that Lee-Davis will finish with a losing record. They face an Armstrong team that has lost three straight after a 5-0 start, trying to get momentum back on their side as, if healthy, and playing as well as they did early in the season, the Wildcats have the potential to make noise in the 3A East playoffs. But they must cut down on mistakes, especially on special teams. Lee-Davis' best chance for a road win tonight are if they can play mistake-free football, keep the Wildcat offense off the field with long drives, and capitalizing on the Armstrong miscues when they come. Here are the complete boys and girls brackets for the 2014 Conference 11 Tournaments beginning Saturday! We have just been informed by the Armstrong High Administration that the Lee-Davis fan base should make plans to park in the central parking lot of the school or in the grass behind the school and enter the Stadium from the rear of the building by their tennis courts. This is the same area where our team buses will be parked and our team enters. This change is due to the Homecoming festivities that will be going on prior to the game at Armstrong. With ten of twelve first-place voters, the Randolph-Macon men's basketball team is the preseason choice, for the second straight year, to capture the Old Dominion Athletic Conference (ODAC) Championship. Head Coach Nathan Davis looks to take the Jackets to its sixth NCAA Tournament berth in this, his sixth year on the sidelines at his alma mater, while overcoming a disappointing end to last year, when Randolph-Macon lost in the ODAC Tournament quarterfinals, then fell at home in overtime to DeSales in the first round of the NCAA Tournament. Joe Hassell and Akeem Holmes look to pick up the inside slack for the departed Andre Simon, while all of the outside shooters are back in the fold, led by Connor Sullivan and Chris Hamilton. Read about the ODAC Preseason Poll by CLICKING HERE. 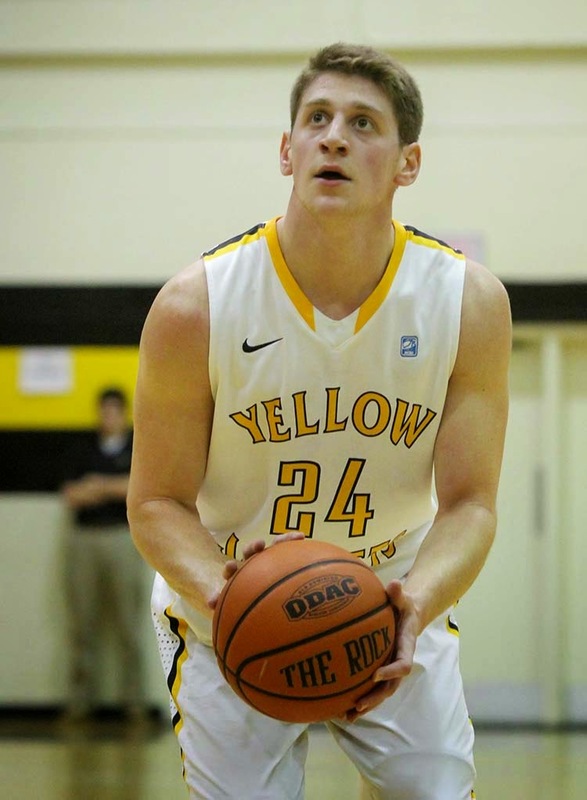 Randolph-Macon begins the 2014-15 season with a tough non-conference matchup in Fredericksburg at Mary Washington, November 16th at 4pm. Their schedule is available by CLICKING HERE. Henrico's one tally stood up as Frances Pugh shut down the Atlee Raiders offense to capture the Conference 11 Tournament Championship 1-0 Wednesday evening at Douglas Freeman High School. Zhanee Jackson scored the match's lone goal in the 16th minute to give the Warriors the victory. Atlee does advance to the 5A South Region Tournament, facing Conference 12 champion Matoaca Monday at 6pm at River City SportsPlex in Chesterfield. 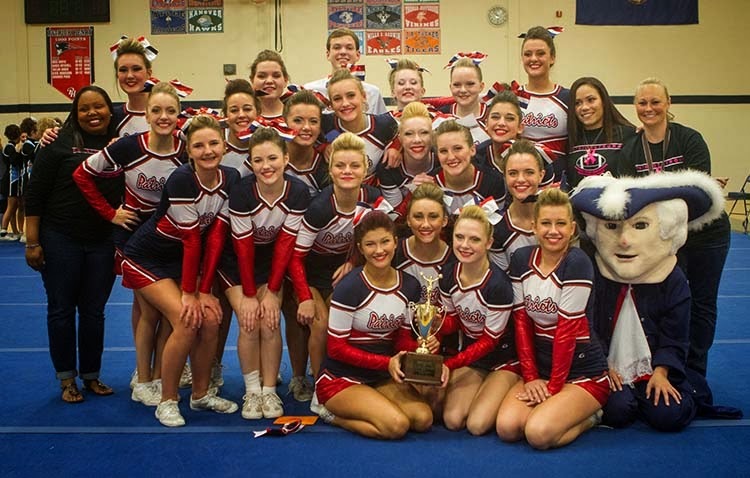 Patrick Henry: Conference 16 Competition Cheer Champions! Conference 11 has been broken down into two "conferences" based on the Capital and Colonial Districts. Here are the brackets for each. The Capital (Conference 11) Wednesday winner will advance to the 5A South Region Tournament the week of November 3rd. The Colonial (Conference 14) Wednesday winner moves on to the 5A North Region Tourney. Seedings are based on head-to-head competition with the old district format. Semifinals are Monday, 10/27, with finals on Wednesday, 10/29. Monday's Capital Bracket matches are at Lee-Davis, the Colonial matches are at Douglas Freeman, with both Wednesday matches also at Freeman. Congratulations to Patrick Henry golfers Andrea Dill and Shea Burch for placing in the top five today at the Central Zone Girls Golf Tournament in Petersburg, thus qualifying both for the State Tournament next week. Dill finished fourth, shooting an 82, while Burch placed fifth, shooting an 89. The State Tournament is Monday and Tuesday, October 27th and 28th at Belle Haven Country Club in Alexandria. HCS Media Network Becomes "RVA Sports Network"
HCS Media, LLC announced today they have rebranded their online sports broadcast service and social media channel system from “HCS Media Network” to the “RVA Sports Network”, to better reflect the company’s array of media offerings. HCS began covering sports in Hanover County in 2002, adding HanoverCountySports.net in 2011 and the popular Twitter feed @hanoversports in May, 2012. Similar websites and Twitter feeds were debuted in Henrico County a year later, followed by Chesterfield County in August, 2013. The RVA Sports Network will continue to set the pace as the exclusive home for online radio broadcasts of live high school sports, scheduling some 70 events throughout the current school year. A central Web hub, RVASportsNetwork.com, will debut soon to give fans a home base with which to access all HCS Media, LLC properties. The new name extends to YouTube, Instagram (RVASportsNet), and Vine (RVA Sports Network), and debuts live Friday when Lee-Davis faces Hanover on the High School Game of The Week. RVA Sports Network has its own Twitter feed, @TheRVASportsNet, to advise fans of future broadcasts, special social media features, and more, including increased coverage of sports within the City of Richmond, including Richmond City Public Schools. Coverage on RVA Sports Network includes high school sports, college sports featuring VCU, Richmond, Randolph-Macon, Virginia Union, Virginia State and Richard Bland College, plus NASCAR, Atlantic 10 Women’s Basketball, the Washington Redskins’ annual training camp, and much more. HCS Media Network is producing special "Super 6" Polls in Field Hockey and Volleyball in the weeks leading up to the postseason. Field Hockey is released Tuesday nights at 10pm on Twitter (@hanoversports), Boys Volleyball Wednesday night, Girls Volleyball Thursday night. Atlee (5-1) moves up to #7 in this week's poll after their win over Varina. Who else is in the Top 10? Find out by clicking HERE! 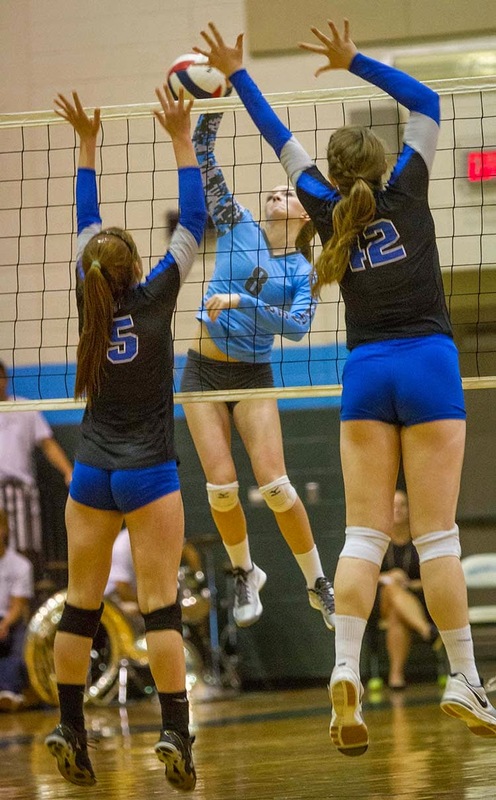 After years of frustration, and narrowly missing a shot at victory at Atlee September 18th, the Hanover Hawks took advantage of their last chance in 2014 to beat the Raiders, overcoming a 1-0 deficit to win in four sets Tuesday night. Scores were 19-25, 25-14, 25-19, 25-21. Miranda Hall had 14 kills, 3 aces and 5 digs, while Leila Haynesworth added 10 digs, 8 kills and 5 blocks. Melanie Snyder led Atlee with 23 assists, 10 digs and 5 aces. Hanover improves to 14-4, while Atlee falls to 13-7, after going 2-3 in three-set play at last weekend's Cave Spring Tournament near Roanoke. HCS Media Network spoke with Hall and the lone senior on Hanover's squad, Allie Dry, about the accomplishment and how to make sure they build on the victory, with the Conference 20 Tournament just around the corner. CLICK HERE to watch the video interview! (Warriors score with 16 seconds to play to give Hawks a heartbreaking third straight loss, now 3-3). Homecoming Tickets will be sold ONE more time on Tuesday, October 14th from 8:00 - 8:30 a.m. in the commons. They will be sold on a first come, first serve basis! The student must have the signed dance permission form for themselves and their guest (if applicable); even if their guest is a non-Atlee student. These forms are available on their class blackboard site, Atlee's website, outside of room 903 and in the front office. Major construction continues into its second year at Henrico High School this fall, so Hanover has sent out the following parking suggestions for those fans attending this Friday night's game. Spectators may park in the main school parking lot; however, spectators will have to travel through the campus following assorted fencing and barricades to get to the stadium. Spectators may park near the buses on the lower practice field (weather permitting and the field is dry enough.) To get to the additional parking at the lower fields, spectators should turn onto Huntington Avenue from Azalea Avenue and follow the baseball and softball fence line to the lower entrance gate for the access road leading to the field house and tennis courts. There will be a lighted direct access ramp to the stadium and ticket sales from the lower field. Atlee holds steady, Hanover falls. Those are the headlines from the new VHSL Football Ratings that came out Monday. Another rough night for Hanover County. Even the one victor left with lumps and questions as we reach the halfway point of the season. After leading 13-7 at intermission, Atlee vaulted into the lead with an opening kickoff return for a touchdown by J.J. Givens, followed by a touchdown pass to a wide open Brandon Crosby on the first play of the fourth quarter to extend the Raider lead to 27-7. But four minutes later, thanks to several 15-yard Raider penalities, mostly of the personal foul nature, and a lucky bounce on an onside kick, Hanover was able to drive down the field and score on two Marcus Bazala touchdown runs, the latter from 27 yards. Bazala played quarterback for the injured Clayton Cheatham. The Hawks got a last opportunity to tie or take the lead, advanced to the Atlee 39, but on fourth and nine, they only could gain five yards. Atlee brought in Malik White at quarterback to help run, literally, out the clock. The Raiders, led by Rashard Harris (23-of-32, 200 yards, 2 TD), advance to 4-1, while Hanover falls to 3-2 and must go to unbeaten Henrico next Friday. The Warriors were finally scored upon as Lee-Davis got a touchdown from Nathan Evans, but Henrico responded with 21 unanswered points for a 28-7 win in Mechanicsville. The Confederates fall to 1-4 and go to Glen Allen next Friday. Patrick Henry hosts J.R. Tucker for Homecoming next Friday.